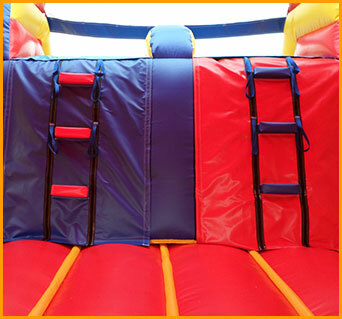 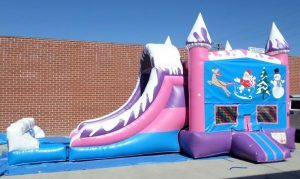 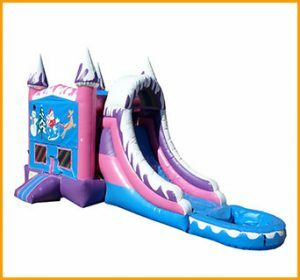 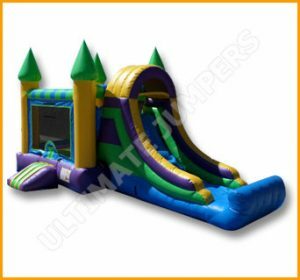 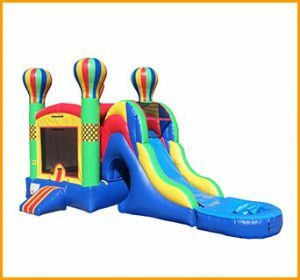 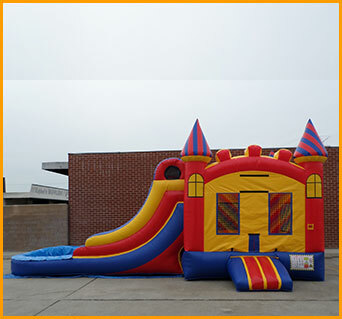 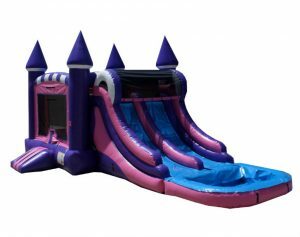 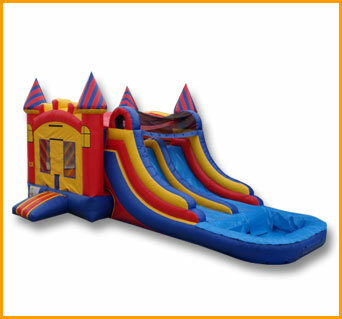 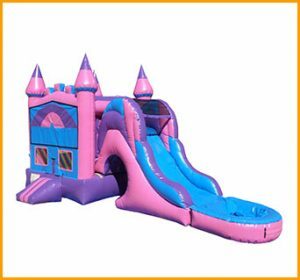 Jump, climb and slide for hours on this 3 in 1 wet/dry double slide combo. 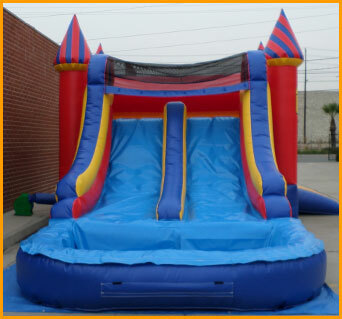 Having a friend in the lane next to yours makes it even more fun! 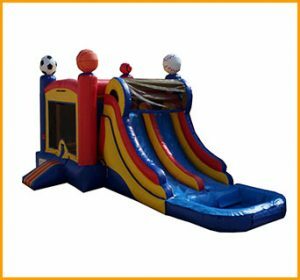 Jump, climb and slide for hours on this 3 in 1 wet/dry double slide combo. 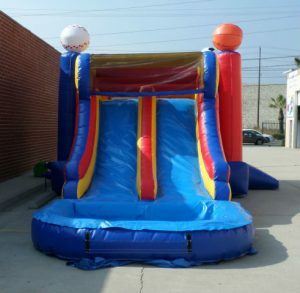 Having a friend in the lane next to yours makes it even more fun and creates exciting competition. 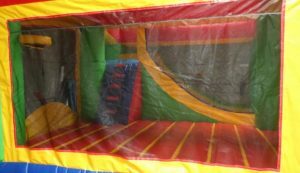 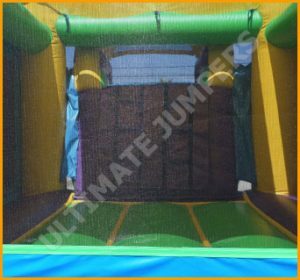 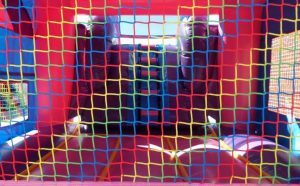 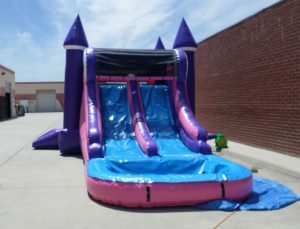 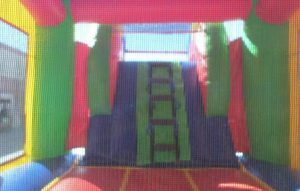 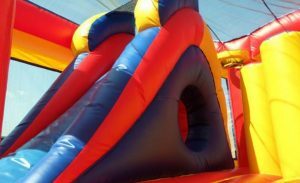 Two kids will be able to slide down at the same time while others bounce, tumble and interact in the moonwalk portion of the combo. 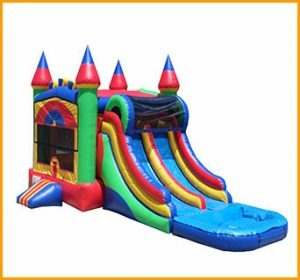 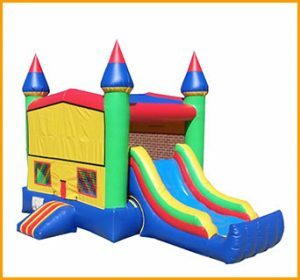 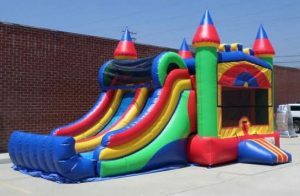 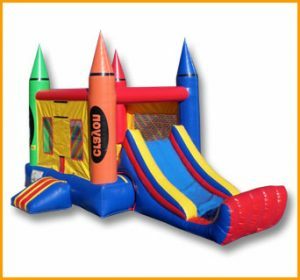 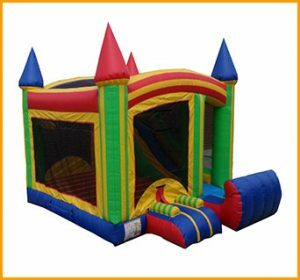 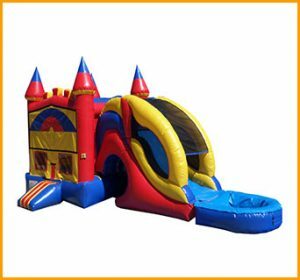 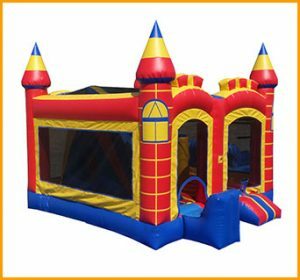 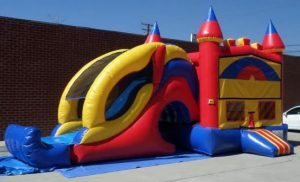 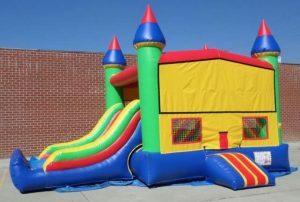 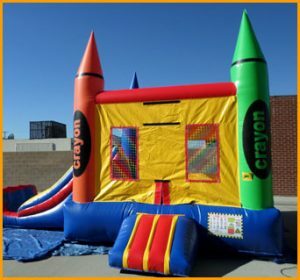 The royal castle look and the primary colors give the combo versatility as it can be set up anywhere for just about any event.